For nearly a decade now, I’ve been tracking ethics opinions that address the issue of whether lawyers can ethically use cloud-based software to store confidential client data. As a refresher, cloud computing is when you store your data on servers owned by a third party instead of on your law firm’s on-premise servers. 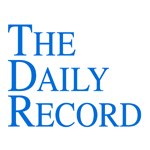 Since then, more than 20 other states have followed suit and weighed in on the issue of whether lawyers can ethically use cloud computing to store confidential client data on third party servers. And, in each opinion, the ethics committee concluded that it was permissible to do so. To the best of my knowledge, it’s been a few years since a jurisdiction addressed this particular topic (which I would argue is a sign that the issue is fairly well settled at this point). So I was excited to learn from my friend and Rochester-based social media lawyer, Scott Malouf, that an opinion on cloud computing had recently been issued in a new state: Texas. In other words, there’s no such thing as absolute security, regardless of whether your law firm’s information is stored and shared online or off. So there you have it. Yet another jurisdiction highlights the benefits of cloud-based computing and green lights its use by lawyers. It’s not surprising since a lot has changed in the past decade. So if you’ve been on the fence about using cloud computing in your law firm, it’s time to re-assess your position. 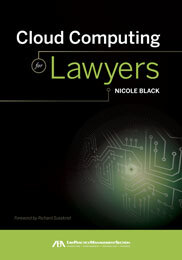 Cloud computing use has become the norm, even for lawyers. And the benefits of using cloud computing are many: affordable computing power, 24/7 access to your firm’s information, increased mobility, and far more secure communication options than traditional email. If ever there was a time to switch to cloud computing, the time is now. What are you waiting for?